Autism Drug Development Pipeline Study is the latest publication from this researcher with comprehensive information of Autism pipeline products. The Autism pipeline guide presents complete overview of drugs currently being developed for Autism. The pipeline review provides insights into different therapeutic candidates in preclinical, research, discovery, NDA/IND, pre registration, phase 1, phase 2, and phase 3 trials). Drug development phase, current stage, mechanism of action, route of administration, orphan drug/ fast track/ other designations, drug class are provided for each of the Autism pipeline candidate. Research and Development progress along with latest news related to each of the Autism pipeline candidates is included. 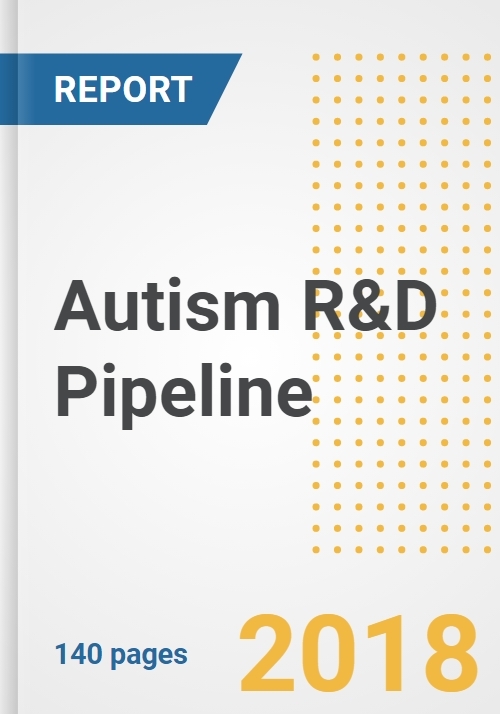 Major companies participating in therapeutic development of Autism are included in this pipeline report. Company wise pre clinical and clinical products along with details of drug originator, co developers/ licensors are provided. Amid strong interest for cure of Autism from companies and institutes, the current research work serves as a reliable and comprehensive source of information of global Autism clinical and pre clinical products. The report assists in identifying potential upcoming companies and drugs in Autism pipeline market along with progress of each drug. It also enables users to formulate effective strategies to stay ahead of competition. Information in the report is sourced from our proprietary platform, built through extensive primary and secondary research methodology. Data is presented in user friendly and ready to use format. For each pipeline candidate, drug overview, details of mechanism of Action (MOA), originator, co developer and licensee are provided.